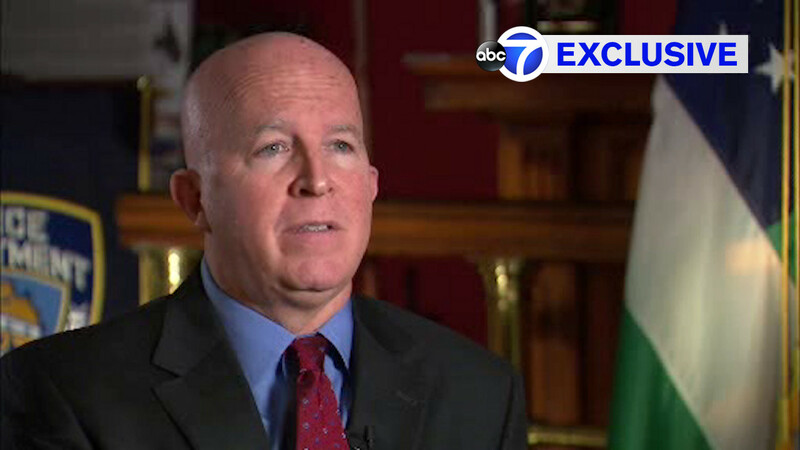 NEW YORK (WABC) -- Eyewitness News Anchor Liz Cho is sitting down with New York City Police Commissioner James O'Neill for an exclusive one-on-one interview. The focus of their discussion is the department's relatively new strategy called "Precision Policing" and the extraordinary results it is having on reducing gang violence across the city. "The goal of 'Precision Policing' is our goal, which is to keep people safe. If you look at how we are doing in 2016 the results are outstanding, and none of that happens by accident," Commissioner O'Neill said. "Precision Policing" is a joint operation by the NYPD and the district attorney's office. It's targeted enforcement that, through months of intensive investigation, provides prosecutors with enough evidence to put the worst criminals away with maximum sentences. You can watch Liz Cho's exclusive reports right here on Channel 7 starting Tuesday on Eyewitness News at noon.